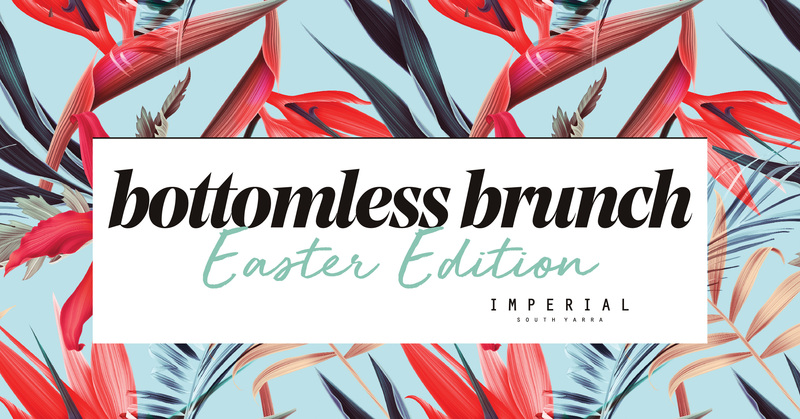 Our Bottomless Brunch is getting an Easter update! 2 hours of Bottomless beer, wine and bubbles and Brunch. PLUS a special Easter Egg Cocktail – trust us it tastes Eggcellent! Pop this in the group chat and book a table! Keep up to date with the latest news and venue updates from Imperial South Yarra.